A cascade of postmodern manipulations, a celebration of self-resampling and a chain of rethinking of rethinking of rethinking. In the beginning, there were some Soviet audio recordings, copied from original vinyl plates and converted into the mp3 format by unknown amateur enthusiasts. 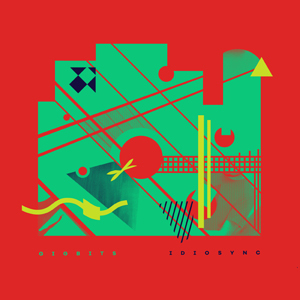 Then, Idiosync used some parts of those low-quality records as samples in his Extrapolation. Next thing, he adapted the material of that album for his live performances. Later, he reworked it again, mixing with sounds from a personal library of field recordings, fragments of tracks from his other project, Moonscape, and whatever had come in handy. That’s the brief story of this album. The sounds of Gigbits went a long way. In the process, most of them have lost  more or less  their essence and were transformed beyond recognition. The final results are considered original tracks, even though some elements, such as beats, basslines and melodies were clearly taken from previously released compositions. All of this sounds like fun for us, inquisitive and curious listeners! Spotify, iTunes, Google Play, Juno. and 7Digital.